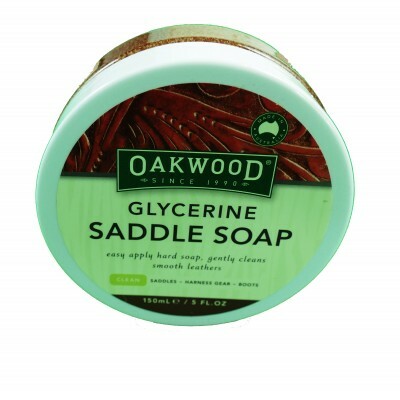 Simon Gray Saddlery use and recommends the Oakwood range of leather care products. They are high quality Australian made products and easy to apply to saddles tack and a range of other leather goods. 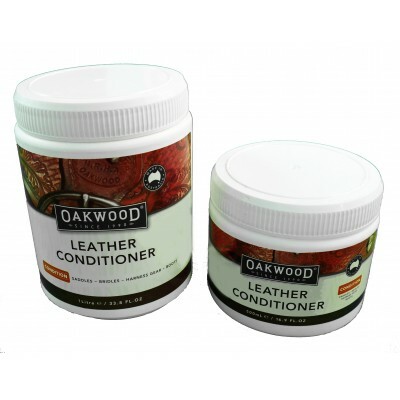 Oakwood’s famous Leather Conditioner provides intense rehydration of saddlery gear, while softening ..
Oakwood Glycerine Saddle Soap removes dirt, grime and other stains. This saddle cleaner is stronger ..